The article is raw and uncensored and exposes her fears of and for her teenage son, who has upon occasion threatened to kill her while wielding a knife. Long’s viral post has sparked controversy, as many outlets (including feminist blog Jezebel) believe gun control is the issue, not mental illness. Considering the recent shootings were perpetrated by an adult man, the media has had a lot to say about that woman, known as “Mom.” That woman, who in Nancy Lanza’s case, was gunned down by her son. That woman, who in Karen Kay’s case, was bludgeoned to death by her son. That woman, who in Long’s case, admits to being scared for the day when she can’t control her boy. In some ways, this hearkens back to the 1950s “refrigerator mother” theory, in which moms with mentally ill children were thought to have been cold and withholding, thus unknowingly causing the illness. Meanwhile, Long is getting reamed for writing about her son by mothers who say she has no right to share his story with the public. Basically, if you are a mom with a mentally ill child, you’re damned if you do and you’re damned if you don’t. If you love your child too much to say anything, you are negligent, but if you cry out for help, you are incompetent and disrespectful of your child’s privacy. Thanks, double bind. 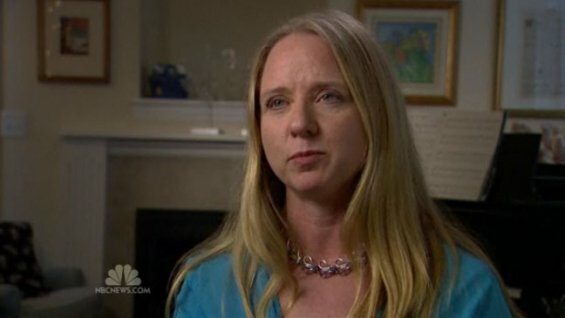 Obviously, the much bigger issue is that Liza Long is not Adam Lanza’s mom. The similarity begins and ends with the having of mentally ill sons. That’s all we know, and it’s dangerous to assume more than that. We can’t lump all people with mental illness together into one big “crazy” pot, it stigmatizes the ill and disconnects us, as a society, from their humanity. Writes Beck, who also objected to the public nature of Long’s post, which included a photo of her son. 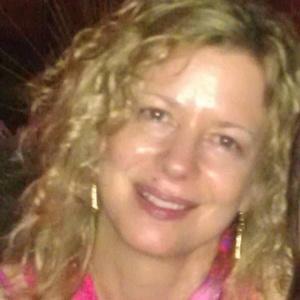 Sarah Kendzior, a writer for The Atlantic and numerous other publications has gone after Long, examining her blog “Anarchist Soccer Mom” for signs of instability. Kendzior writes, citing numerous passages which she believes show Long as an unfit mother. Long’s blogs posts are off the cuff, falling in the style of Ayalet Waldman’s “Bad Mother” genre (Waldman is writer whom many may remember as the first to openly admit to loving her husband more than her children on “Oprah,” prompting the audience to boo her). Waldman’s style has been embraced as writers like Sandra Tsing Loh have used the “Bad Mother” quasi-confession to allow for their own imperfections to spew forth like tongue-in-cheek volcanoes. While we have been able to accept the often humorous confessions of self-proclaimed “Bad Moms” assisted by our latent love of irony and our natural comfort with female self-effacement (often peppered into the genre), the combination of Long’s “Bad Mom” style and her serious post about her son’s mental problems was too much for many people to bear. The idea that Long could be a multi-dimensional human being is still out of step with our conception of motherhood. The fact that she could joke and be authentic was apparently mind blowing to Kendzior, proving perhaps that the “Bad Mother” trope is not as hackneyed as we thought. It is as if motherhood is the last bastion of authenticity and the last torchbearer of the “Cult of Domesticity,”–which fyi is the farthest thing from authentic (if there is even such a thing as authentic blah blah post modern blah). Mothers are not people, they are mothers, they belong exclusively to children and any form of self-possession is forbidden. Meanwhile, the child to whom they belong is the possession of the world, and everyone has the right the duty to tell a mother how to best bring up her offspring. Kendzior wrote, before she and Long made peace (like all good moms do) and published a joint letter of solidarity in support of the mentally ill.
After this tragedy, everyone has tried to pull rank–mothers, teachers, gun control advocates, students, people who are mentally ill, people who know the mentally ill or work with them, gun owners– everyone is a self-appointed expert based upon this or that facet of identity. We are looking for someone or something to blame, thinking about what we would have done differently if we were Adam Lanza’s mother. But the bottom line is that woman, that ideal mother, that person who would have known exactly what to do in Nancy Lanza’s situation does not exist. If your child is mentally ill, you will never be an ideal mother, not to the world, not to your child and not to anyone. 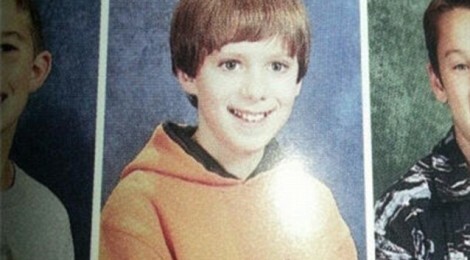 Early school photo of Adam Lanza, above. Leave a Reply to Diego A-B. Click here to cancel reply.